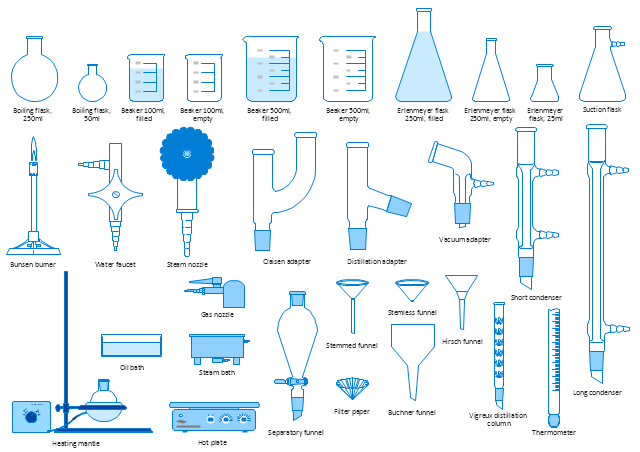 The vector stencils library "Periodic table of chemical elements" contains 119 icon symbols of chemical elements for drawing Mendeleev's periodic table, chemical diagrams, infographics and illustrations. "A chemical element is a pure chemical substance consisting of a single type of atom distinguished by its atomic number, which is the number of protons in its atomic nucleus. Elements are divided into metals, metalloids, and non-metals. Familiar examples of elements are carbon, nitrogen, oxygen (non-metals), silicon, arsenic (metalloids), aluminium, iron, copper, gold, mercury, and lead (metals). 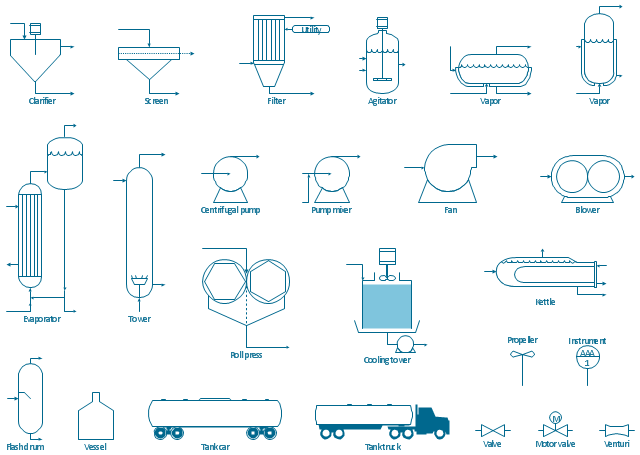 The vector stencils library "Chemical engineering" contains 24 symbols of chemical and process engineering equipment. 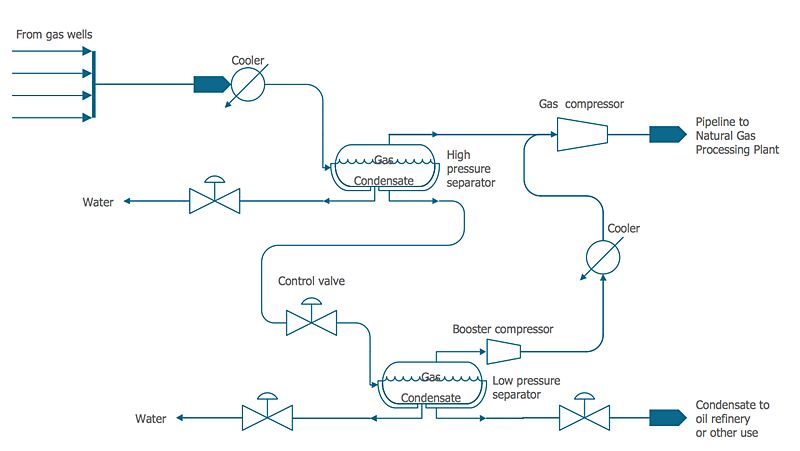 Use these shapes for drawing block flow diagrams (BFD), process flow diagrams (PFD), piping and instrumentation diagrams (P&ID), and water flow diagrams. 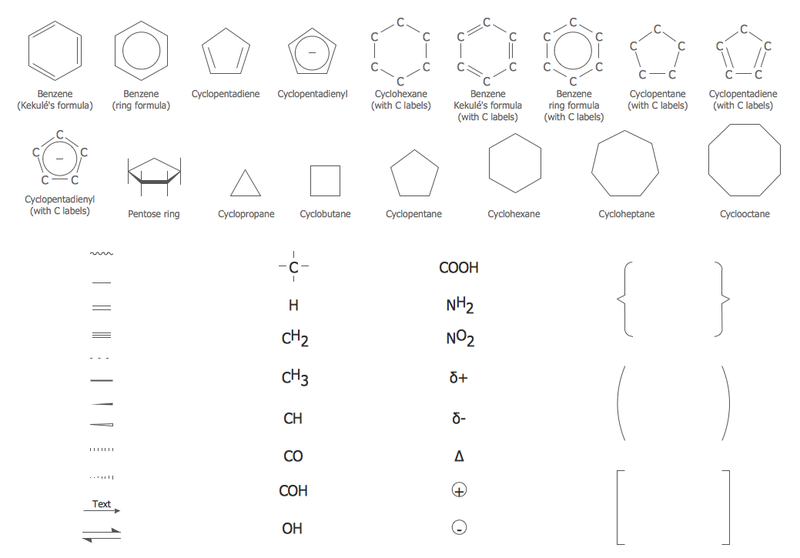 The vector stencils library "Chemical elements" contains 118 icon symbols of chemical elements for drawing atoms, structural formulas and ball-and-stick models of inorganic and organic molecules and ions, and schemes of chemical reaction mechanisms. 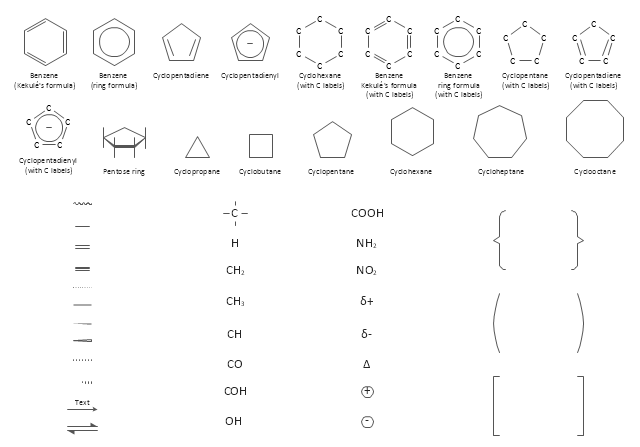 The vector stencils library "Chemical drawings" contains 81 symbols of organic compounds and functional groups for chemical drawing. 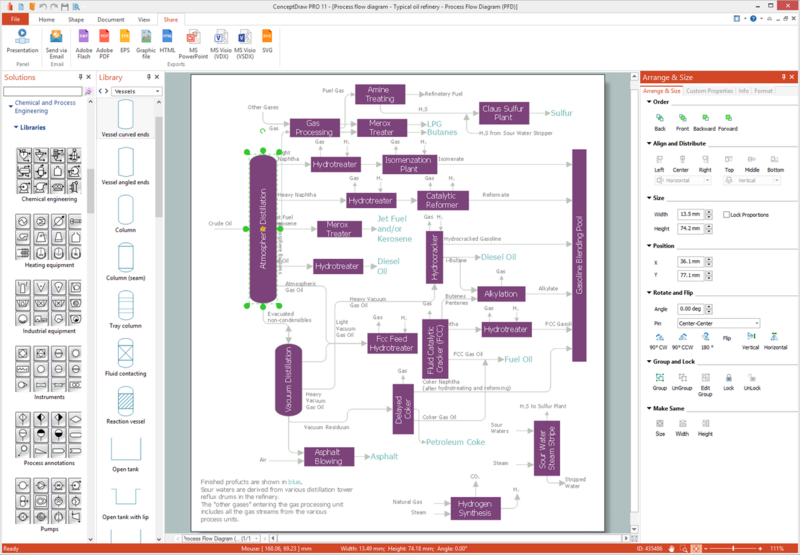 Use it to draw structural formulas of organic molecules, schemes of chemical reactions and organic chemistry diagrams. Organic reactions are chemical reactions involving organic compounds. 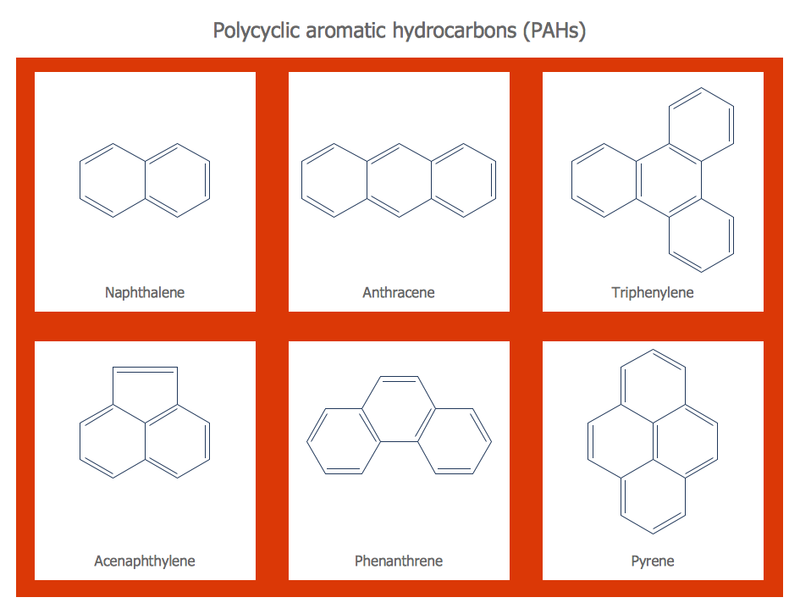 While pure hydrocarbons undergo certain limited classes of reactions, many more reactions which organic compounds undergo are largely determined by functional groups. The general theory of these reactions involves careful analysis of such properties as the electron affinity of key atoms, bond strengths and steric hindrance. 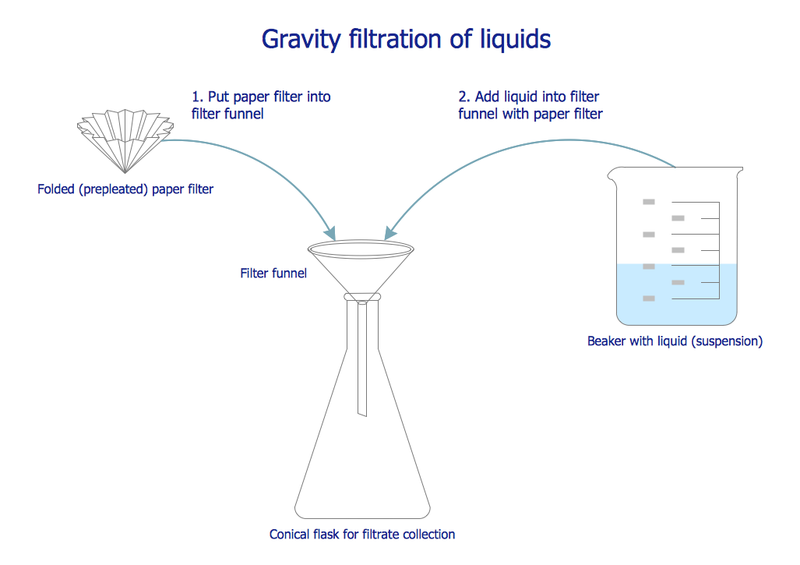 These issues can determine the relative stability of short-lived reactive intermediates, which usually directly determine the path of the reaction. Each reaction has a stepwise reaction mechanism that explains how it happens in sequence - although the detailed description of steps is not always clear from a list of reactants alone. 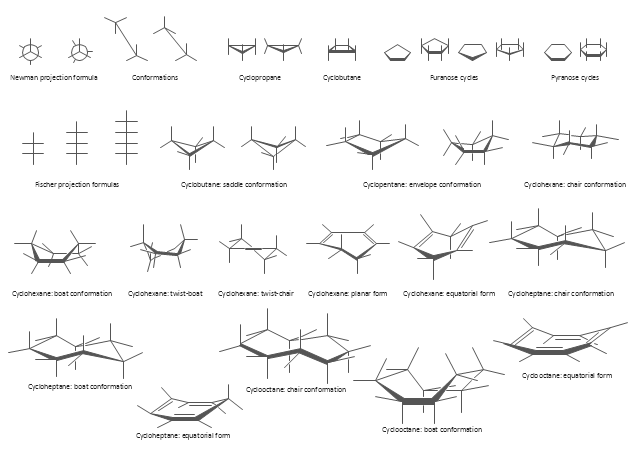 The vector stencils library "Conformations" contains 32 symbols of ring conformations, Newman and Fisher projections for chemical and biochemical drawing the molecular models and structural formulas of organic molecules and biochemical metabolites. It is useful in stereochemistry for drawing spatial structures of conformers of organic molecules, and schemes of stereospecific chemical reactions in organic synthesis. "In chemistry, conformational isomerism is a form of stereoisomerism in which the isomers can be interconverted exclusively by rotations about formally single bonds (refer to figure on single bond rotation). Such isomers are generally referred to as conformational isomers or conformers and, specifically, as rotamers. Rotations about single bonds are restricted by a rotational energy barrier which must be overcome to interconvert one conformer to another. Conformational isomerism arises when the rotation about a single bond is relatively unhindered. That is, the energy barrier must be small enough for the interconversion to occur. 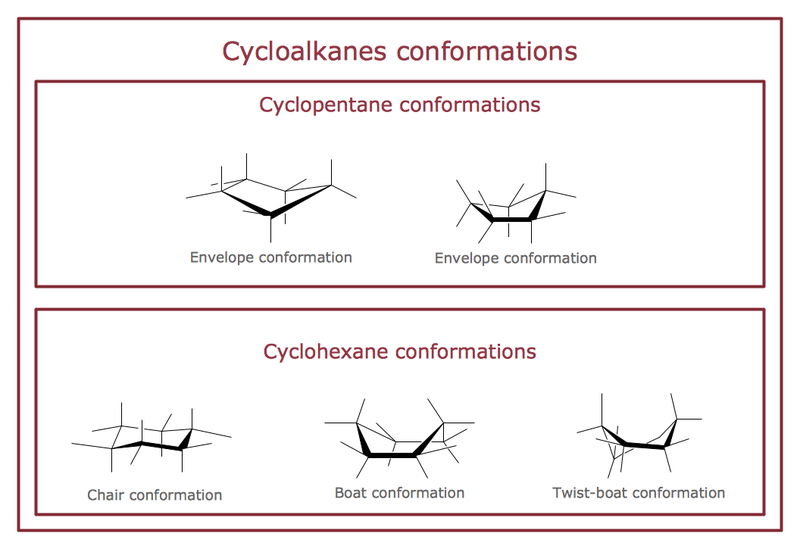 Conformational isomers are thus distinct from the other classes of stereoisomers (i. e. configurational isomers) where interconversion necessarily involves breaking and reforming of chemical bonds. For example, L- & D and R- & S- configurations of organic molecules have different handedness and optical activities, and can only be interconverted by breaking one or more bonds connected to the chiral atom and reforming a similar bond in a different direction or spatial orientation.